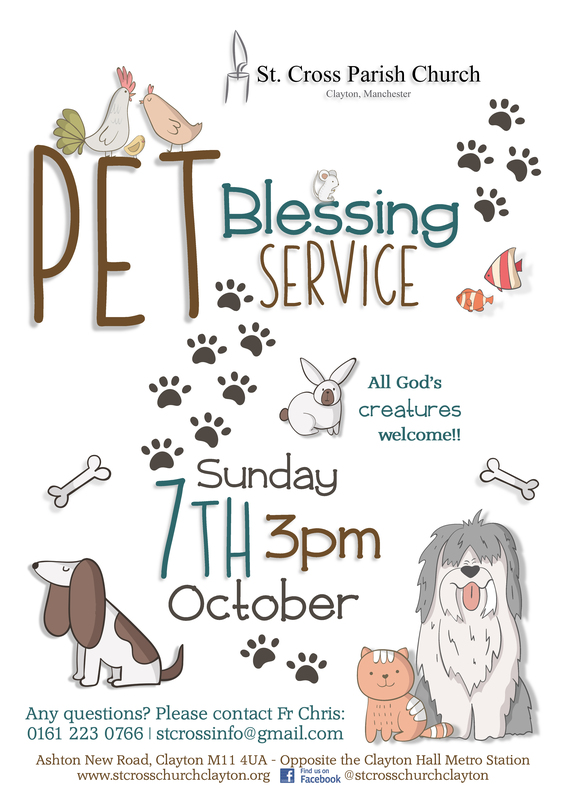 Our annual Pet Blessing Service will be on Sunday 20th October at 3pm. The service is a chance for you to bring your beloved pets to church with you!! Furry, feathered, scaly, big or small- all God's creatures (and their humans!) are welcome to come to our relaxed and fun service followed by refreshments and a chance for chat (and sniffs!) to get to know each other in the Church Centre!! We are praying that the church will be full to bursting with all of God’s wonderful creatures (including Fr Chris' own two cats Isserley and Tommy and Web Team Assistant Cassie the Welshie!) so let’s get the word out! !